For over a decade now, people around the world have been using YouTube to tell their own stories, in their own words. It’s the perfect medium for passion and performance. So, to celebrate our YouTube stars across Europe, we invited them to participate in Europe on Stage — a talent-show-meets-viral-video mashup. YouTubers came together last Wednesday at Brussels’ BOZAR Centre for Fine Arts, where France’s Yanis Marshall — who got his first big break through YouTube — got the evening off to a high-octane start with one of his dance team’s legendary high-heel routines. 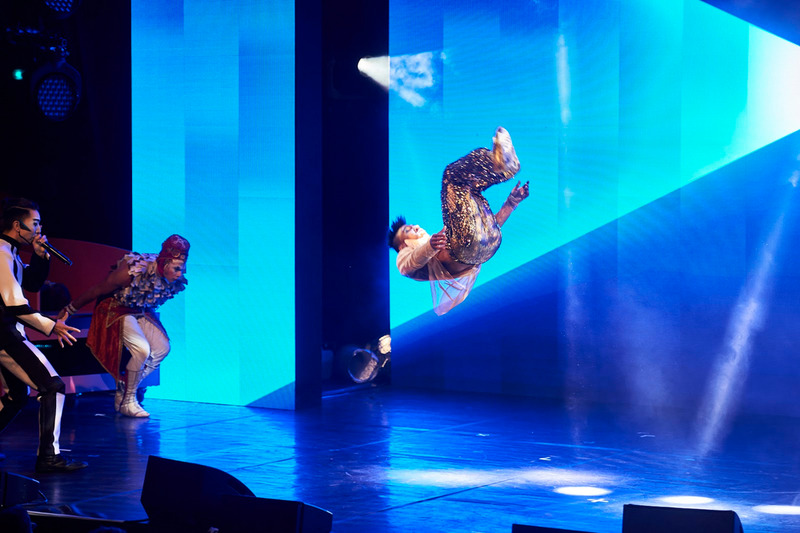 Cirque du Soleil enthralled the audience with contortionism, juggling and beat-boxing: It’s no surprise that their channel has over 34 million views. Louise Pentland — aka SprinkleofGlitter — told her stories about meeting the Pope and becoming a UN Gender Equality Ambassador. The Chopin Institute’s Artur Szklener explained how, thanks to YouTube, Chopin beat shopping in searches in Asia during the international piano competition. And Italy’s Rockin’ 1000 nearly brought the house down. A 1000-person ensemble that began as a joke to convince the Foo Fighters to play in Fabio Zaffagnini’s hometown Cesena, they took the stage with their loud and proud version of “Rebel Rebel”. There were some quieter, more reflective moments as well. 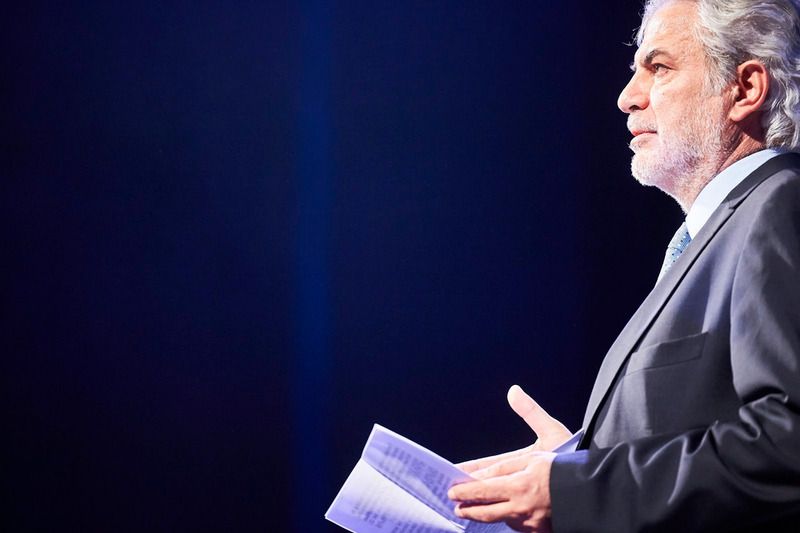 European Commissioner Christos Stylianides spoke about the EU’s response to the refugee crisis, and the vital importance of culture for Europe’s future. His words were followed by a deeply moving musical performance from members of the Orchestra of Syrian Musicians. Earlier this year, YouTube livestreamed a performance by this talented group, who’d been working with Damon Albarn and Africa Express before being scattered by war. By coming together to perform, they celebrated a proud culture that refuses to be silenced, sharing their stories of exile and loss. Europe’s diversity is its strength, and the evening’s range of acts highlighted that. Europeans use the platform to speak to audiences both at home and abroad. There are hundreds of European creators earning six figures a year from their videos, and this revenue is increasing over 50% year-on-year. Around a quarter of YouTube’s global watch time is of European channels, which makes it a powerful tool for exporting the continent’s culture. YouTube is also a powerful tool for bringing out the best in people. We’ve launched the Creators for Change initiative, offering new resources and grants to help counter hate speech. And YouTubers have joined forces under #NichtEgal, a movement dedicated to unite Germans in countering hate online. We are proud to celebrate the creativity that brings together diverse cultures, identities and languages on our platform. A huge thank you to everyone who celebrated with us at last week’s event.